Home » Blog » First Happy Hour a Great Success! First Happy Hour a Great Success! We had a great turnout for October’s happy hour at BUILD Pizzeria! Due to their great deals, we are going to continue to have our monthly happy hours at BUILD. First years and second year Public Health Nutrition students mingled with students from other concentrations in the School of Public Health. Thanks BUILD for having special Cal specials! 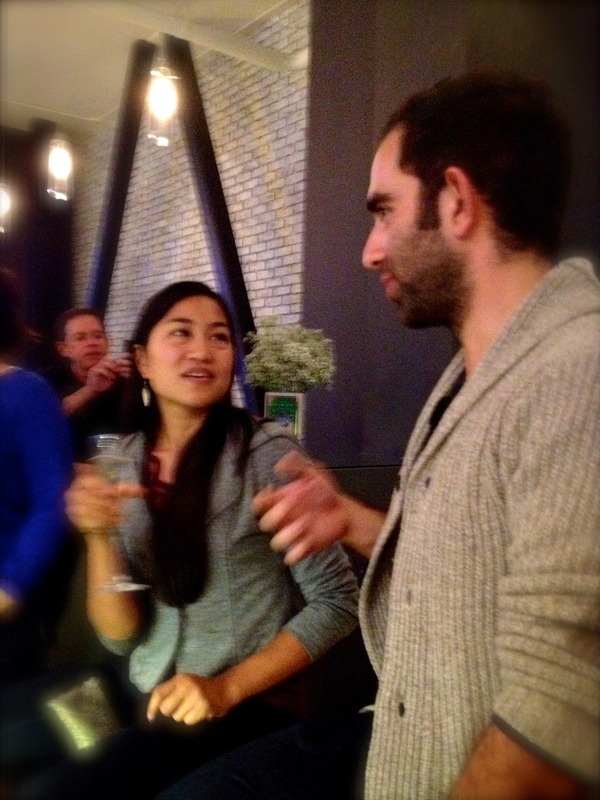 First year students, Aileen and Nima, sharing a conversation at October’s Happy Hour, Cooking up Community! By phnblog in Blog on October 15, 2013 .